"Evening of Ukrainian music" was performed in Lviv Philharmonic. "Shadows of Forgotten Ancestors", "Vladyka Andrey" and "Taras Shevchenko" - these movies were listened to, not watched. Journalists of ZIK channel told about it. Volodymyr Sheiko, conductor of the National Radio Company of Ukraine talks about preparation of the event: "A lot of work was done to collect all music, because it was divided and scattered on tracks from movies: for 40 seconds and one and a half minutes. It took efftors both for us and composers to collect and turn it into a concert form for the orchestral performance". Journalists found out that composers, performers and artists of the orchestra were preparing for nearly six months to work jointly. This time Lvivians were suggested to listen to the Ukrainian soundtracks. Lviv Philharmonic performed solely music from Hollywood films for the last two years. Violinist Alexander Bozhyk tells his impression: "Emotions are very interesting, because in fact the music is unknown for many people. This is our response to Hollywood music, our real music". Yuri Voznyi who plays the bassoon, said: "I feel that timbre, longing for those times when there were battles, Sich is everything ours". Organizers of the concert promise that soundtracks will play in Lviv Region Philharmonic Ukrainian in the future. Next time the music will be performed and accompanied by parts from the movies on the screen. "Evening of Ukrainian music" was in Lviv Philharmonic. "Shadows of Forgotten Ancestors", "Vladyka Andrey" and "Taras Shevchenko" - these movies were listened to, not watched. Soundtracks from movies were performed by Lviv Philharmonic Symphony Orchestra under the supervision of the conductor from Kyiv. "A lot of work was done to collect all music, as it was scattered on tracks from movies for 40 seconds and one and a half minutes". 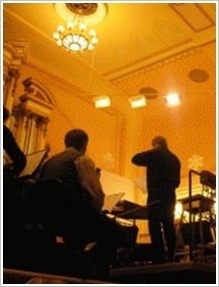 Composers, performers and artists of the orchestra were preparing for nearly six months to work jointly. This time Lvivians were suggested to listen to the Ukrainian soundtracks. 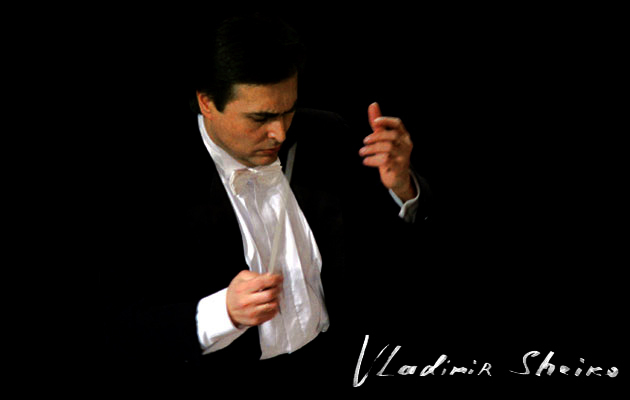 Lviv Philharmonic performed solely music from Hollywood films for the last two years. Music from films "Shadows of Forgotten Ancestors", "Vladyka Andrey" and "Taras Shevchenko" sounded from the scene this time. "Emotions are very interesting, because in fact the music is unknown for many people, but the music very interesting. I would even say it is our response to Hollywood music, our real Ukrainian music". "I feel that timbre interestingly, longing for those times when there were battles, Sich meaning everything, everything, and everything is ours". "There are many melodies of our people and perhaps that is the reason it is so close to us. So I advise everyone to listen to their Ukrainian". "I am very pleased. It is very nice and very pleasant to hear such music". "One could experience everything together with the composer and the orchestra accordingly".